If you are seeking a good mortgage rate but do not know where to begin, a mortgage broker can help you with useful shopping tips, advice and information. It is vital however that you choose a good mortgage broker and here are a few tips to help you have a better understanding of the process. You can begin by contacting state and local boards of realtors for lists of mortgage brokers in your area. References from friends, family, colleagues and real estate agents can also lead you to a good mortgage broker. If this does not help, you can also contact the National Association of Mortgage Brokers association for Nevada. They will, in turn, be able to refer you to local brokers that may be able to work with you. Once you shop around, you next need to shortlist brokers. Call all the recommended brokers and find out how many different lending institutions they work with. Also find out which individuals or groups they have worked with. This can prove helpful if you are having trouble getting a loan through conventional local lenders. Different brokers accept compensation in different ways. Some work for a flat fee while others take a percentage of the mortgage amount that you borrow. 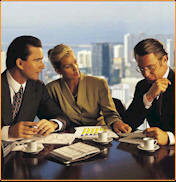 Find out from the various brokers how they are compensated. While this may seem a little tedious, it can help you in saving money. For example, if you are a first-time buyer and are low on your down payment, a broker who works for a percentage of the mortgage may prove as a better option. Besides the above, there are a few other considerations that need careful attention. Beware of brokers who try to push programs with high points or whopping interest rates, which means more compensation for them. This occurs most frequently with people who have problem with their credit rating. Mortgage brokers are an excellent option for people who hate the drudgery of shopping or have marginal credit. They can offer high quality services that can actually help you save time, money and a great deal of effort.